Sometimes there are things that are created that have just no reason to be invented. It can even make the world more confused. Today, we’re counting down the top 10 weirdest kitchen gadgets that you can buy online or in even stores. Ever get really tired of a plain, old, hot dog? It’s the American classic . . . but even that gets old over time. With this, why not make it more fun with hot dog slicer? It cuts hot dogs without any blades which makes it safe for the kiddos. While it could be seen as helpful to some extent; there’s just no need for it if you ask me. 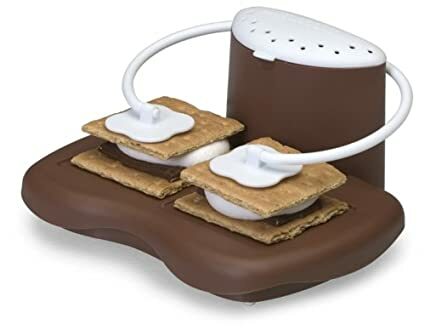 Because apparently, it’s just too difficult to put a S’more in the microwave, we need this handy dandy little kitchen gadget. 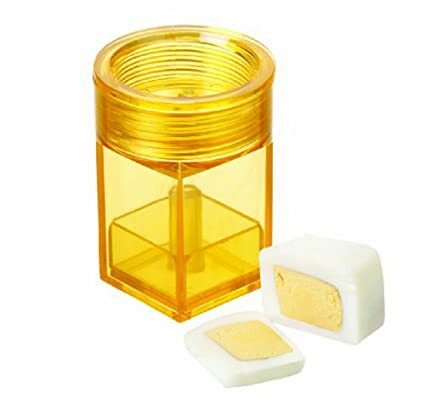 This – indeed – is an unneeded gadget when you can simply just put the S’more in the microwave. Do you get bored of just using condiments from a plain old bottle? Well then you need the condiment gun. It’ll add some excitement to the dinner table. I mean come on! This just has “bad idea” written all over it. You don’t have time to actually fry bacon on the stove, right? This is especially true for those who are rushing to get out the door to get to work, school or whatever it is they are doing that day. 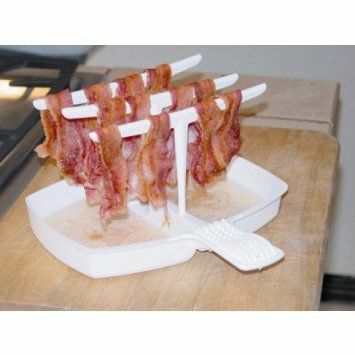 Well, this “handy” invention allows you to cook the bacon in a microwave with a very unnecessary rack. I mean, can we not just cook bacon in the microwave without the fancy rack? Apparently not. You know that moment when you can’t decide if you should use a fork or chopsticks? Yeah, me neither. A Chork has chopsticks on one end and a fork on the other. Just imagine using this in a Chinese or Japanese restaurants. You would get so many looks of disapproval. Not to mention how stupid you’ll look pulling out this pastel colored utensil. Sometimes, a plain old boiled egg is too boring. You need to liven it up a bit. So, what do you do? You turn them into cubes. What’s the point? I don’t know. This bowl has a partial barrier to separate your cereal from your milk. I mean, I guess it works. It works for those people who don’t understand how cereal is supposed to work. You know those oven mitts that always make you laugh, but are completely useless? Yep, here they are. If you’re an arcade game lover, then these oven mitts are for you. But, once you get down to it . . . all you’re doing is putting your fist up Pac-Man’s backside. Apparently, a normal waffle isn’t good enough. 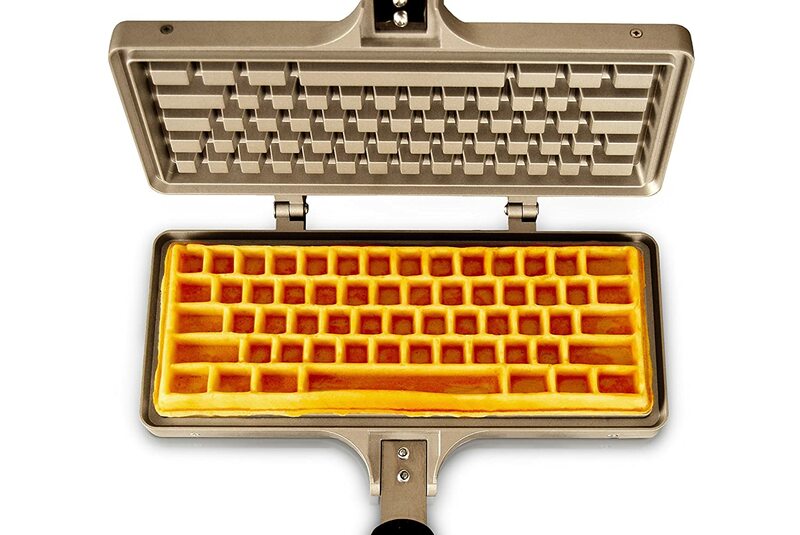 One needs to transform it into the shape of a keyboard which is actually quite similar to the normal look of a regular waffle anyway. Don’t ask us why. Mmmmmmmm waffles. 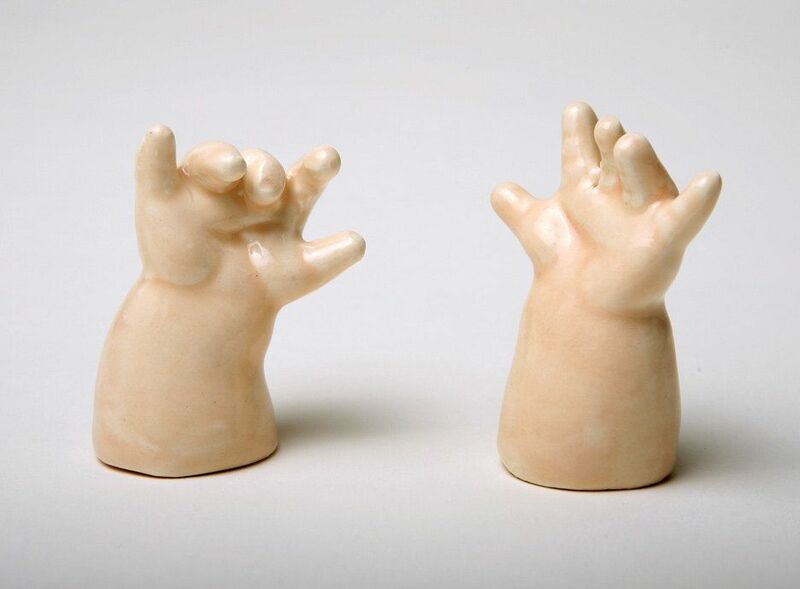 These salt shakers are bound to be from some horror movie. I mean, they’re just plain creepy. There’s absolutely no reason to have these unless you just want to creep out your house guests. There you have it, our top 10 weirdest kitchen gadgets. Did we miss any? Comment down below and tell us what the weirdest kitchen gadget you’ve ever seen is.